Creamy, chocolatey, and absolutely decadent, this is the perfect drink to warm up with while curled up under a blanket by the fireplace on a cold wintry night. Treat your friends and family to something new and delicious this holiday season, and give this recipe a try! Heat milk in a medium saucepan over low heat. While the milk is being warmed, combine your favorite cocoa powder with the brown sugar, white sugar, cinnamon, allspice, and ginger in a small bowl. Whisk the milk until it is hot, taking care not to overheat or scald it. Pour the cocoa into each mug and top with whipped cream and a sprinkle of cinnamon. 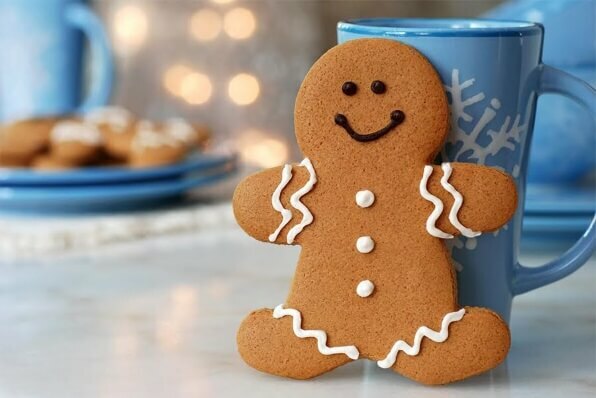 Serve this drink with miniature gingerbread men to make it even more fun and festive. You can sprinkle nutmeg on top instead of cinnamon. This beverage can be transformed into an “adult-friendly” drink with a shot of Bailey’s or Kahlua.